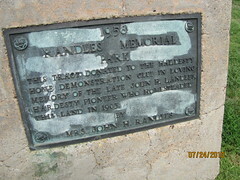 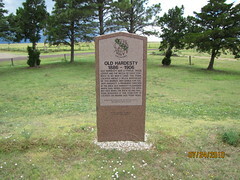 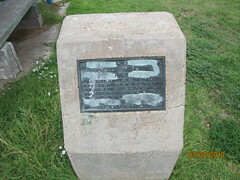 Old Hardesty was a typical trade center and the mecca of early cowboys in "No Man's Land", the town located about 3 miles northeast of this marker was named for Col. Jack Hardesty, a prominent rancher in the area. 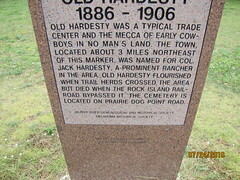 Old Hardesty flourished when trail herds crossed, the area but died when the Rock Island Rail Road bypassed it. 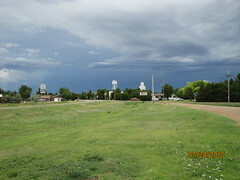 The cemetery is located on Prairie Dog Point Road.